TakeAway, Deliveroo, Foodora and UberEats: The differences? Cashdesk ›› Blog ›› Uncategorized ›› What are the differences between TakeAway, Deliveroo, Foodora and UberEats? What are the differences between TakeAway, Deliveroo, Foodora and UberEats? In recent years, online delivery services have been booming. Market leader TakeAway is well known, but newcomers such as Foodora, UberEats and Deliveroo are also making headway. The latter have been gaining market share, especially with TakeAway recent price increases in the Netherlands. Whereas people used to order food occasionally on weekends, they now order it regularly throughout the week. In addition, pizza is no longer the only choice. Nowadays, even top restaurants also offer home delivery. An important difference between TakeAway and UberEats, Foodora and Deliveroo is the way in which they work. TakeAway offers restaurants a platform where customers can order online. 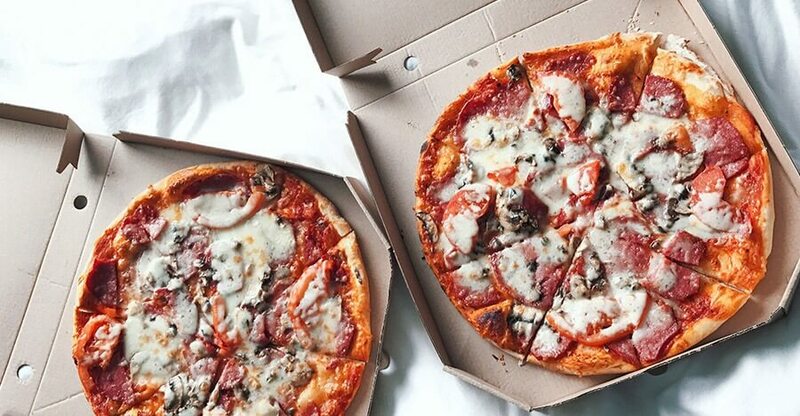 Restaurants receive orders via the TakeAway platform and then take care of the delivery themselves. UberEats, Foodora and Deliveroo operate differently. Restaurants can sign on to these delivery services and offer their meals online. When a customer orders food, a courier picks up the meal at the restaurant and then delivers it to the customer. These delivery services actually take care of the delivery. TakeAway has also set up a separate delivery service called Scoober. This service is mainly active in large cities. In August 2017, TakeAway reported that they had a market share of 1.2%, but that they wanted to increase this to 5% through investments. The delivery service remains a stand-alone service and therefore differs in operation from competitors UberEats, Foodora and Deliveroo. Delivery services charge different prices. The list below shows the different costs per order and the associated percentages. TakeAway : €0.19 + 13% per order, excluding delivery. Deliveroo: €2.50 + 20-25% per order. Foodora: €2.50 + 30% per order. UberEats: $5.00 + 30% per order in the U.S.. Dutch figures are still unknown. Please note: This article was written in January 2018 based on situation in the Netherlands. Percentages may change in the future. Although TakeAway mainly functions as a platform for online orders, these days it is possible to have the company take care of the entire delivery for a restaurant. The subsidiary Scoober uses modern e-bikes and electric scooters. Deliveroo and Foodora use a different approach. 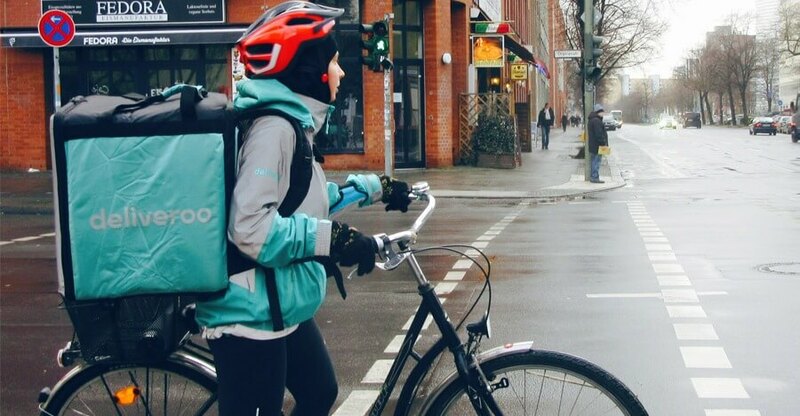 These delivery services work with couriers who quickly cycle through the city in recognisable clothing. They deliver for many restaurants and do not use motorized transport. Uber is best known as a taxi service, where you can hire a taxi with a few clicks via a mobile app. Their meal delivery service works in the same way. UberEats delivery staff can be seen on bikes, scooters or in cars. 4. Pizza or high-end steak? The different delivery services all focus on different segments of the market. This means that customers can turn to TakeAway for a quick snack, including traditional take-away meals such as pizza, Chinese or kebabs. UberEats, on the other hand, offers everything from a McDonald’s burger to a refined carpaccio from a local restaurant. Their offering is versatile and large. Deliveroo and Foodora focus on delivering quality meals from good restaurants; the kind of food you had to book at a restaurant to enjoy in the past. Foodora says it actively selects based on the quality of food that restaurants offer and ends collaborations when there are too many negative experiences from customers. As the largest player in the Dutch market for delivery services, TakeAway can be found almost anywhere. This isn’t so for newcomers such as Foodora, Deliveroo and UberEats. These new services are being slowly rolled out in large cities. For TakeAway’s competitors, rural coverage still seems a long way off. UberEats also focuses on delivery in large cities. 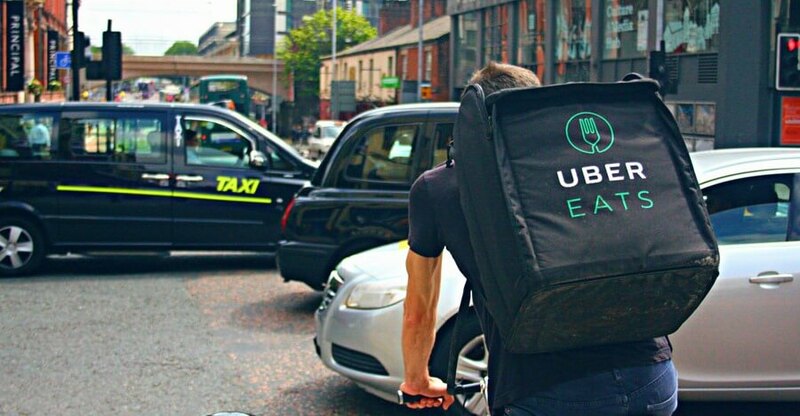 The service was first rolled out in major world cities such as New York and London, and now people in Amsterdam, Utrecht and Rotterdam can also order food via UberEats. To date, Foodora only operates in cities, including Amsterdam, The Hague, Scheveningen, Eindhoven, Haarlem, Utrecht, Rotterdam and Leiden. Deliveroo deliverers are currently cycling around Amsterdam, Breda, Haarlem, Utrecht, The Hague and Rotterdam. Working with such a delivery service is the ideal way to boost your restaurant’s profile. CashDesk’s customised restaurant software can help you process orders from delivery services. CashDesk is the only system with handy links to delivery services such as TakeAway and Foodora. Further possibilities include integrating your own delivery service into our software. Which means of transport is best suited for your delivery service? Where is my order? Let customers track their order. Meal delivery: This is how you determine the size of your delivery area.